What day is today? Monday or Tuesday or Wednesday? Cause it feels like Monday, but I think it might be Tuesday but then I remember it’s probably Wednesday. It was the May long weekend here in Canada. So, like last year, we packed up our stuff, the doggies, and headed off to a family camping trip. By family, I mean with my siblings and their families, as well as my parents. Last year when we went it was very cold and we froze…so this year we were hoping for an improvement on that, even if it is slight. We didn’t really get one – it wasn’t freezing but we got a different combination of unpleasant weather. Combine that with rangy kids and dogs and mosquito-geddon and you get a less than ideal long weekend. 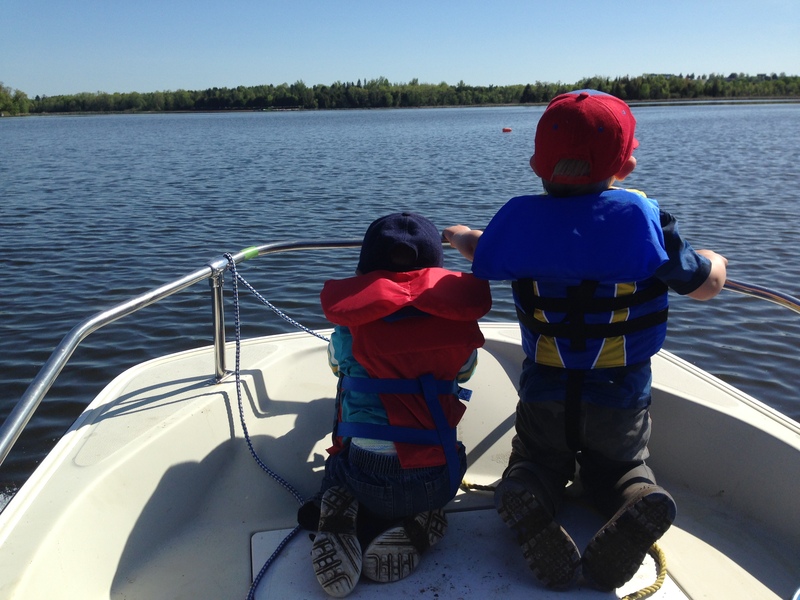 The highlights were lots of fun boating – the water was so smooth and the littles just loved being in the boat. They hung over the side with an adult holding, white knuckled, onto their little life jackets so they could feel the water in their fingers. They had a good time. It was so fun watching them be amazed and thrilled and excited riding on the boat. Grandpa even let them all have a turn driving – which was both terrifying and super fun! My sister brought Hungry Hungry Hippos in case it rained –which it did lots of – and they had a BLAST playing it. They were like mad men banging on the hippos like there was no tomorrow and giggling like crazy people. Thank goodness the game is made a bit more durable than some modern games! A certain nephew turned 7, so we put together a scavenger hunt with riddles to determine where each of his presents were hidden. We broke our presents up into a bunch of little ones so it lasted for quite a while – he loved everything (except the clothes, which he got lots of, because what kid loves getting clothes? He still smiled and said thank you anyway). There was something really great about packing up and heading home and getting into our nice home with central air was amazing. 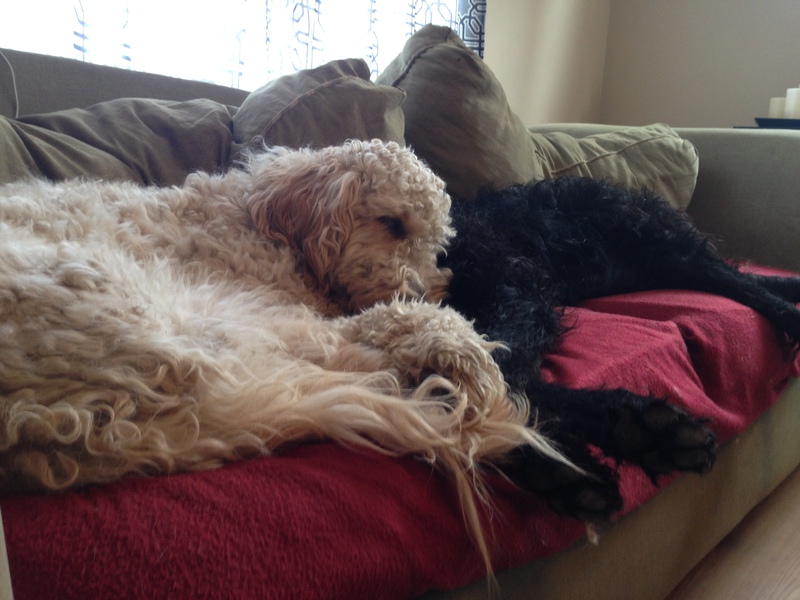 The dogs passed out and are STILL sleeping it off (with a couple pee, food and wrestle breaks). I should have taken an extra day and joined them! Haha. As much as I love to spend time with the littles, it is ALWAYS exhausting! How come we almost always feel more tired after a long weekend than before it?